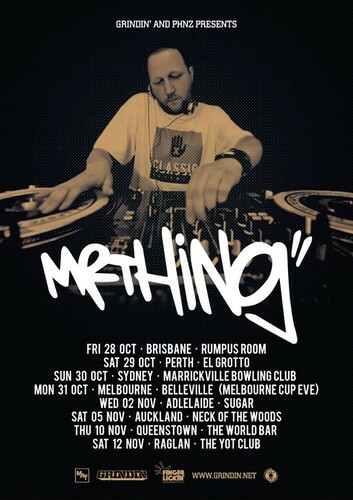 Mr Thing has been one of the world's top turntablists for over 20 yrs and a member of the famed Scratch Perverts. His awards include World DMC Champ 1999 MC UK Champ 2000. DMC World 3rd Place 2000. Mr Thing is a world class DJ capable of rocking a party, in any town, who has performed and toured with DJ Jazzy Jeff, J-Live, Marley Marl, Beastie Boys (as part of Scratch Perverts), DJ Premier, DJ Vadim, Run DMC (as part of Scratch Perverts), Slum Village, Mark B & Blade, KRS-One, Jehst. He is also Yungun’s DJ and producer. Hudge is one of the Countries top DJs as well as the man in charge of Auckland venue Neck of The Woods. A superb selector overall genres but with a love of Hip Hop, Hudge returns to Raglan since presiding over one of the more infamous Sunday Sessions 2 years ago.